These three have different personalities, but are quite the team! Jessica is described as a very caring and sweet little girl. She loves to play with her baby dolls, play veterinarian and kitchen. Her favorite food is pizza, tacos and all kinds of meats. Nathan loves being active. He plays soccer, football and basketball. He is not a picky eater. Michael is good at soccer and riding his scooter and is like his sister when it comes to eating. He loves pizza, pasta, tacos and all kinds of meats. 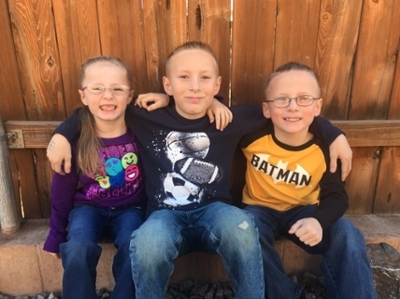 Jessica, Nathan and Michael need a flexible foster family. They are in need of a caring and loving family that is committed to be their forever family!